Get it?!?! Rising! I crack myself up. 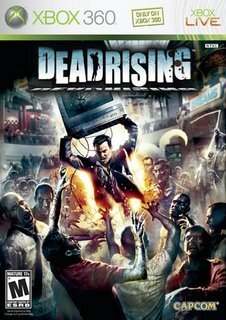 Anyway, Dead Rising, which I recently reviewed, continues to sell strong, especially in the UK where it's the top seller. Due to how popular Dead Rising has been, it's the fastest selling Xbox 360 game which sounds cool and all but it's not like there's a lot of Xbox 360 titles to choose from...yet.